You are currently browsing the tag archive for the ‘BP assets’ tag. …think I’d recommend immediately establishing a Presidential HQ facility at the coast in Louisanna, and have Obama start spending half his time there and in the field and at sea in the Gulf, leading the charge, surrounded by his “generals” and spending time among the workers and public. There’s not much he can do in DC that he couldn’t do there, and the “optics” as they call the PR value of such things, would be considerable, especially since he is being criticized for being remote, and also as such a field White House hasn’t been done before, or at least in recent memory. Again, as for BP, he should freeze their U.S. assets so they can’t be moved offshore, possibly draft their U.S. employees for the “duration” and make this a government operation. True, he might be risking his Presidency, but he’s doing that, by default, already. 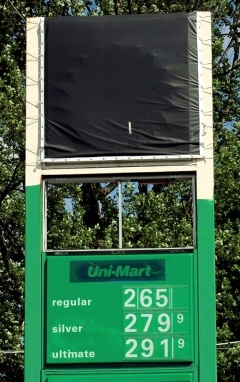 Nationalize BP and their U.S. Assets? Just Do It! The environmental damage is not transitory. It will get much worse, no matter what happens. The damage will persist for many years. BP should be nationalized now (the U.S. company) and their U.S. assets put under control so they can’t all be moved out of reach to Swiss or UK banks, if that isn’t the case already. Draft their U.S. employees. Use their expertise and people and money to solve the problem and reimburse those effected. We need BP drafted into a lifelock with the U.S. Who cares if BP survives — they are only a company. We’re talking about saving people and animals and fish and birds, and compensating for losses to the maximum long-term extent, beyond the scope of precedent of anything short of war reparations. Again, where is the spine and decisiveness of Congress, the White House and the Supreme Court on this? I’ve been saying this for weeks. Doesn’t anyone care? Doesn’t anyone listen? Too me, the public perception that BP is “cooperating” so closely with the U.S. government, including holding joint press conferences in the Pentagon, suggests that the U.S. is compromised by BP and the UK. Let’s get it right — BP is an environmental criminal. And since when does the criminal stand beside the police chief in press conferences? Compare this reality with the concept that a UK company somehow caused an atomic energy release in the U.S. Would we hold them accountable in a death grip of control and justice that would have repercussions for decades? Of course. What about resulting risks to our international relationships and the rights of private enterprise? How much does that matter when and as long as life is at stake on this scale? What the hell is a barrel of oil? The 42-US-gallon oil barrel is a unit of measure, and is no longer used to transport crude oil — most petroleum is moved in pipelines or oil tankers, according to Wikipedia. The BP Gulf Oil Spill is reportedly spilling 12 to 24 thousand barrels of crude oil per day. That means that one million or more gallons of crude oil, per day, is spilling into the Gulf, or as much as 40 MILLION GALLONS to date. You know how much a gallon of milk is. You probably have one in your refrigerator. Now, spill a gallon of milk onto the floor every day, and do it for the next 110,000 years or so, and you have some idea of what BP has spilled into the Gulf of Mexico, so far. BP, and our government and the naive news media are conflating the scope of the spill into terms the general public does not relate to, using an antiquated measure of volume — the barrel — that is not today used to carry crude oil, and is not well understood, and sounds a lot more modest than A MILLION GALLONS A DAY! BP, oil companies, government, news media, give it to the public straight. Media, give the people analogies they can relate to. Do the basic math and use a little sense, instead of just passing on the handouts you receive. Multiply the result by the evils that a gallon of floating or sunk crude can do now and later to the natural environment, which includes people’s lives, and you have perspective on the scope of this mega-disaster. Nationalize BP and Seize Their U.S. Assets, Now! On May 19, I called for the U.S. assets of BP to be frozen, so that full reimbursement to those people and communities endlessly harmed by their Gulf oil spill could be assured. Now, as BP seems to be slowing their responsiveness, increasing their excuses, as the extent of the damage their criminal negligence has caused becomes more apparent, I think it’s time for the U.S. to step up and temporarily nationalize the U.S. company and seize their assets and put it all under the leadership of a single agency accountable to the President, at least until the well is safely capped and the spill damage is under control. Again, it’s time for the executive branch, Congress and the Supreme Court to cooperate and get it done. If the employees of BP U.S. need to be drafted for the duration of this effort, so be it. It’s time for everyone involved to face up to the challenge, take the personal and political risks entailed, and maximize our coordinated response to this greatest man-made environmental disaster in recent history. .
Time to Seize BP U.S. Assets? With 45,000 sq. 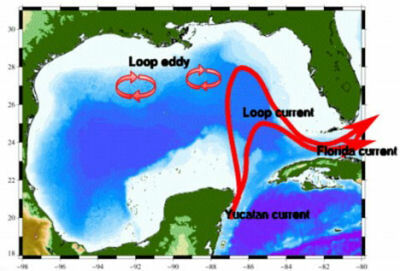 miles of the Gulf of Mexico closed to fishing and the possibility that the Gulf will become a dead sea for a decade, and with the ecology and economies along the shores of the Gulf coast states threatened with devastation, isn’t it time to secure funds that may be needed for relief by freezing the U.S. assets of BP? BP clearly bears the ultimate blame for the oil rig disaster, even if fellow companies and federal watchdog agencies are implicated as accomplices. Will the executive branch, the Congress and the Supreme Court, act in the public interest, or will oil “interests” prevail. The test is before us, and the outcome is unsure. Speak up. Ask for answers and consequences.